I have been working with the tireless Trish Rohr to create new branding, website and marketing materials for her non-profit Rohr Rockstars. 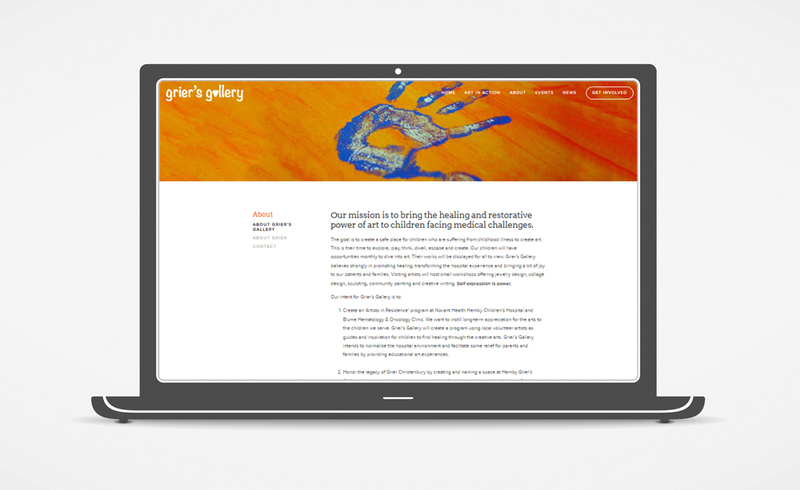 The organization, which provides educational enrichment to children facing long-term illness, is in a period of great growth and change and it is a pleasure to help Trish navigate her new phase with fresh and consistent visual messaging. Stay tuned for more from this great organization as they roll out new pilot programming at Hemby Children's Hospital in Charlotte. 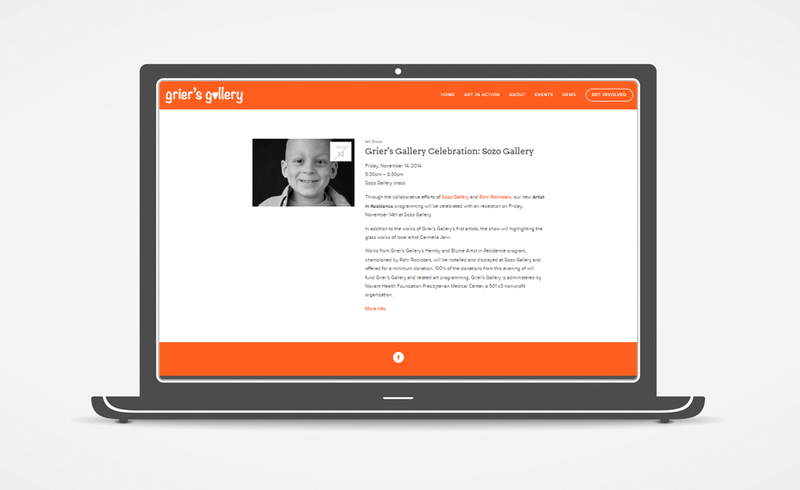 My inspiring friend and client Hannah Blanton launched a powerful new project in November 2014, a way to honor the life of her young friend Grier Christenbury and to grace hospitalized children with enriching art experiences. 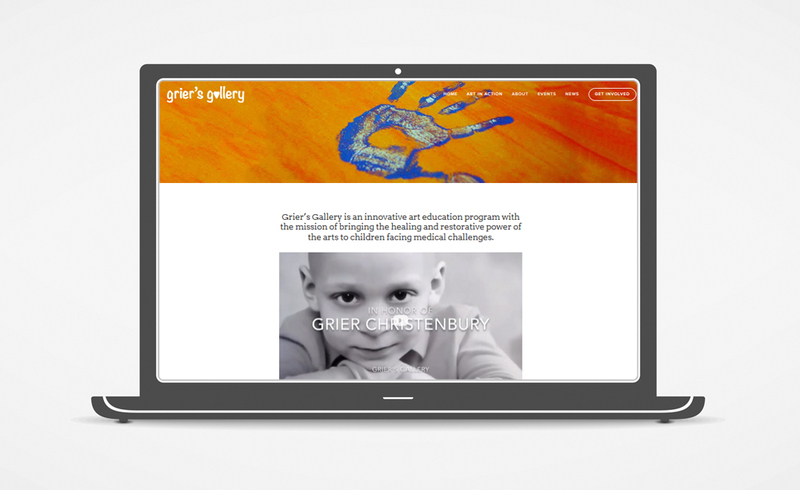 Grier's Gallery is now both a gallery space at Charlotte's Novant Hemby Children's Hospital and an monthly art program that brings a guest artist to Hemby (and Blume Pediatric Oncology Clinic) to work with patients to express themselves through an art project. 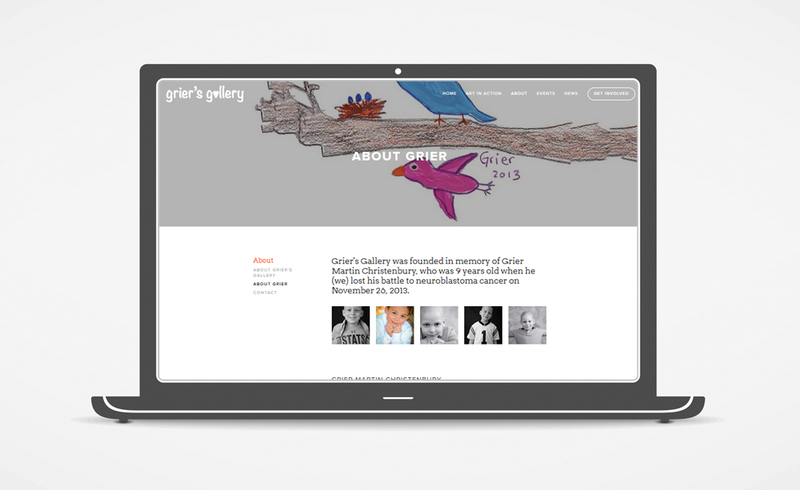 In addition to a website for Grier's Gallery, I helped design a window display for Sozo Gallery where Hannah and collaborator Trish Rohr celebrate the launch of Grier's Gallery in November.